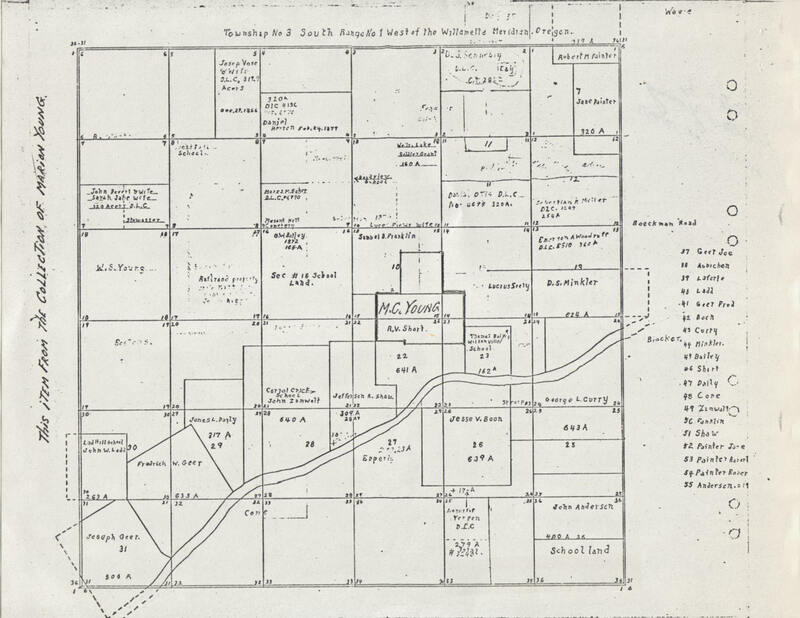 This map, drawn sometime after 1866, is of the area around Pleasant Hill Cemetery. The cemetery is named here as "Pleasant Hill Cemetery" in the southern part of the Moses M. Baker claim in the second row from the top. The path of the Willamette River is shown. M.C. Young purchased part of the R.V. Short and Franklin DLC's sometime in the 1880's and is penciled in to indicate that, but the exact date of the underlying map is unknown.